•Oscilloscope fall in two main category one is analogue oscilloscope and second is digital storage oscilloscope. 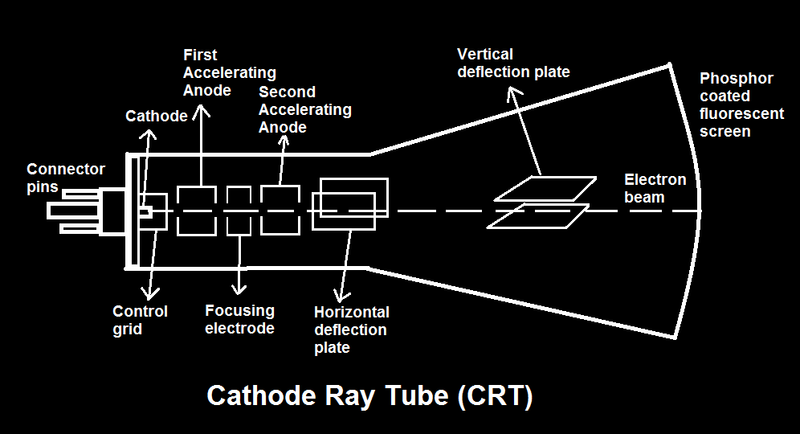 •Oscilloscope develop with the cathode ray tube (CRT) technology. 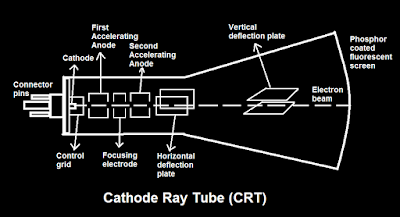 •Cathode ray tube (CRT) have high frequency response. 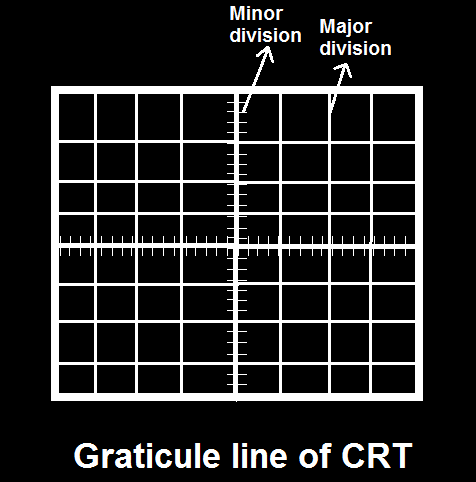 •So lets look at the CRT first. •CRT simply shows the electron beam on phosphor coated screen. 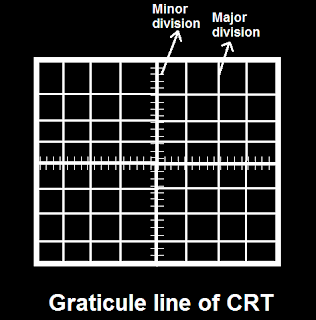 •CRT basically consist of electron gun, vertical and horizontal deflection system and acceleration section. •So the oscilloscope circuit move the electron beam to the phosphor coated screen so the glow trace a path of the beam and it is visible for a short time. •Oscilloscope are often use for rise time measurements. 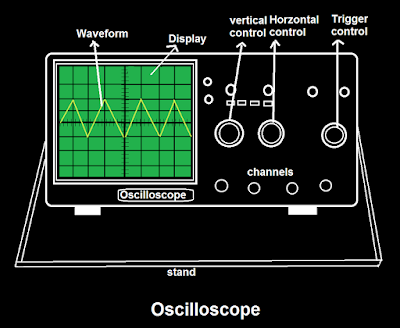 •Oscilloscope is use for measuring frequency, width and period. •Oscilloscope display amplitude of signal in function of time. •Both analogue and digital oscilloscope have 2 to 8 channels. •Analogue oscilloscope have no memory storage and digital oscilloscope have some memory storage. •If we want to check voltage spike or to check time interval accuracy we use oscilloscope. •In modern oscilloscope there is VLSI circuits. •Modern (digital) oscilloscope are costlier than analogue oscilloscope. What is digital storage oscilloscope (DSO)?